The 2014 India Elections have begun and as the election din and frenzy reaches its finale, it is now time to take a look at the major trends that have defined the exercise of political choice in the world’s largest democracy. In this election, the youth forms a major chunk of the voting population. 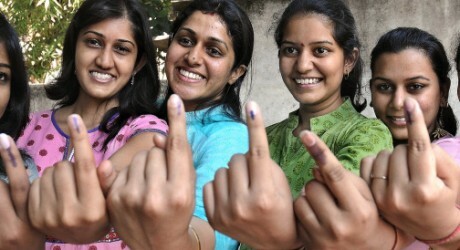 150 million young Indians between the ages of 18 to 23 years are eligible to vote for the first time. That is staggeringly close to the total number of all registered voters in the 2012 presidential elections in the United States (169 million) and the sum equivalent of voters in most of the European countries. 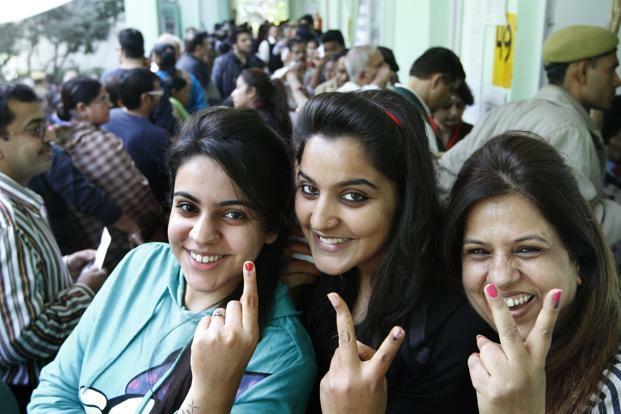 In the nine-phase voting process that kick started across the country on April 7 and is scheduled to end on May 12, popular trends indicate that first-time voters are showing no signs of the voter lethargy that Indians are infamous for. On the contrary, young Indians are showing up at the voting booth in unprecedented numbers and voting has become a sign of impatience and assertiveness. So what has brought about such a drastic change in the voting pattern? It is the sizable segment of first-time voters, who are the target of some finely orchestrated wooing by political parties and leaders. Opinion polls and experts, however, are working overtime to predict the mind of this young sizable voter pool. Perhaps the defining point of this generation is the fact that they have grown up in and gotten used to a buoyant economic scenario. In the ongoing elections, these urban first-time voters are expressing considerable anxiety about India’s recent economic slide and the rise in corruption. They are a bunch who are unsatisfied with the current governance and want a change pronto. A lot has changed since the last general election in 2009 when India was nearing double-digit economic growth rates. Since then, the economy has slowed dramatically and is now projected to grow at 5.4% in 2014.
Who would have predicted two years ago that Narendra Modi would be this close to the prime minister’s seat? The poll predictions suggest this could be the BJP’s strongest showing in decades, and conversely suggest that this could be the ruling Congress Party’s worst performance yet. But the election is far from over, and opinion polls have been wrong in the past. In 2004, when BJP ran its miscalculated “India Shining” campaign, opinion polls favored the NDA to win heavily, but it was beaten by the Congress, which since then has been at the helm of the ruling UPA coalition for the last ten years. Young voters are also extremely concerned about the dwindling job prospects and lack of opportunities. It is a generation that is arriving to a damp job scenario after witnessing the generation before enjoy a long spell of plentiful employment opportunities, double-digit salary rises and job-hopping. Real issues aside, first-timers are making it obvious on social networks that they are enamored by political idols and are going gaga in support of them. The boyish-faced Rahul Gandhi of the ruling Congress Party, the tough-talking Narendra Modi and the anti-corruption crusader Arvind Kejriwal of the Aam Aadmi Party have their own segment of young fans and a hysterical fan following to boot. Still, it is hard to say who this game changer of a generation will favor in the polling booth. Previous PostArun Jaitley: Ushering A New Dawn In Indian General ElectionNext PostThe Road to Effective Governance is still a Distant Dream!